Dr. Lawrence has been practicing in the same location In Vernon, BC for ten years. Our patients are not limited to Vernon but come to us from throughout the north Okanagan. 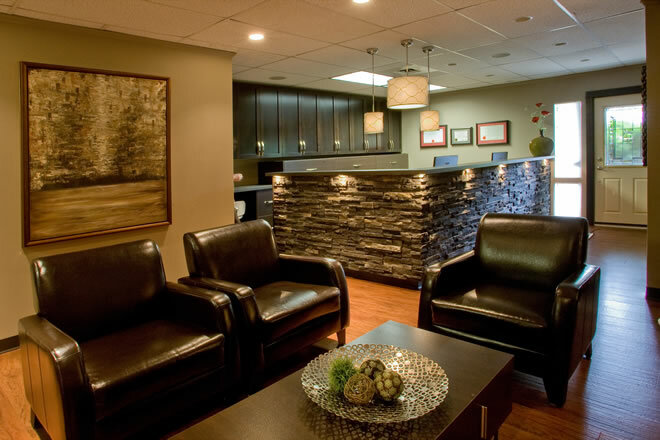 The office provides services and procedures that encompass the entire range of dental care. We are proud of our highly dedicated, experienced and compassionate staff. We have recently updated our facilities to include flat screen TVs in the ceiling of all our operatories for the comfort and entertainment of our patients. Our renovations also included a more comfortable and relaxing waiting area with leather club chair seating. Our commitment to continuing education enables us to remain at the forefront of state-of-the-art patient care. Our first priority is to keep our patients healthy, comfortable and smiling.